Captain Richard A Nagel was assigned to the . 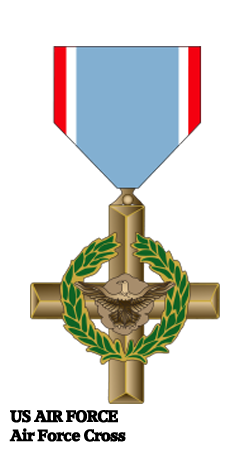 Please contact us with any biographical data, pictures or other information regarding the service and life of Richard Nagel, Air Force Cross recipient. The contained information on Richard A Nagel is gathered and extracted from military records from a variety of sources. This material in no way represents this serviceman's complete military record; we welcome additional material. If you can help add to Captain Richard Nagel's military record please contact us. This can include award citations and photos.